Day One: We left from Spokane, Washington. 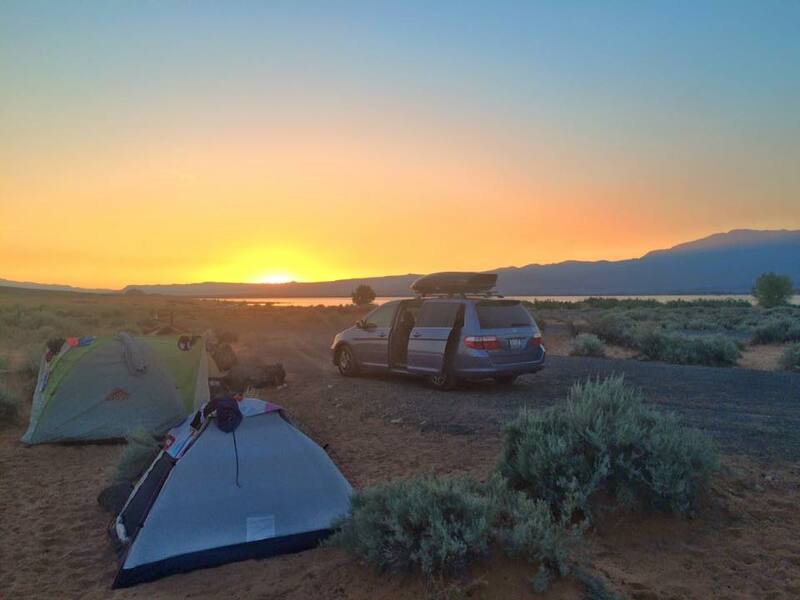 We drove six hours to Farewell Bend State Park in Huntington, Oregon – right near Boise, Idaho. This was an awesome campground right on the river. Day Two: The next day we drove the rest of the way to Salt Lake City. 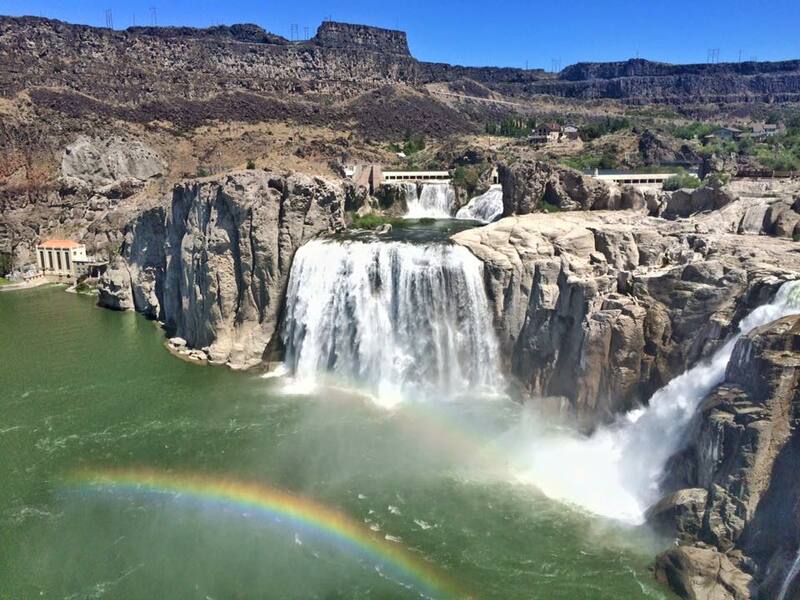 On the way we stopped at Shoshone Falls State Park in Twin Falls, Idaho. 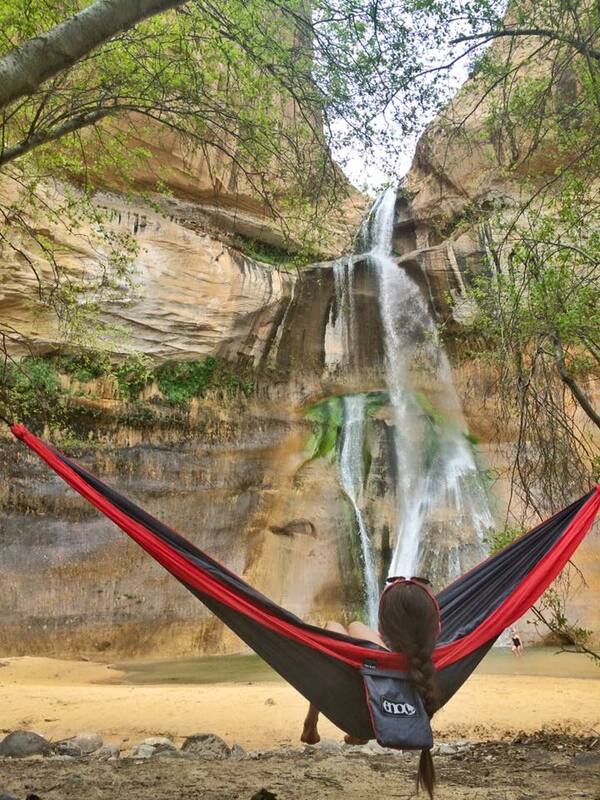 This waterfall is apparently considered the Niagra Falls of the west! 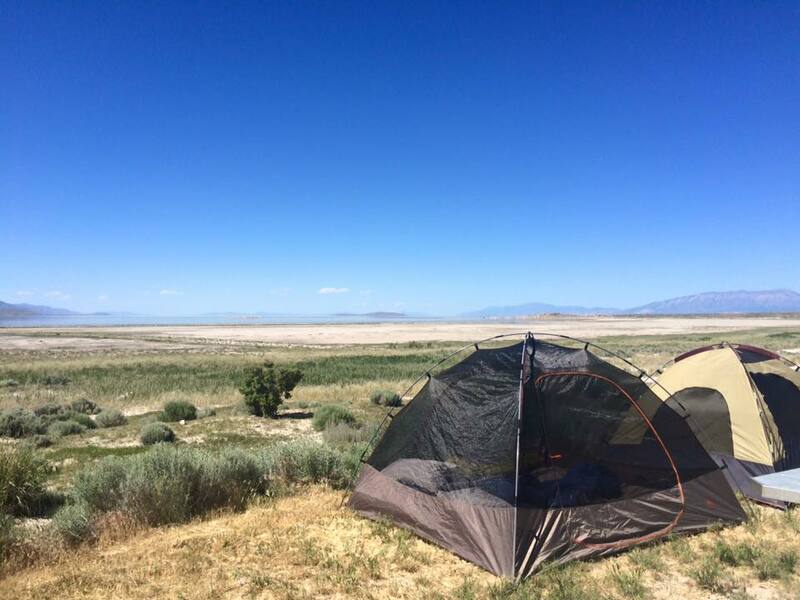 We went to Antelope Island State Park and got to our campground (Bridger Bay). This island is right in the middle of the Great Salt Lake! 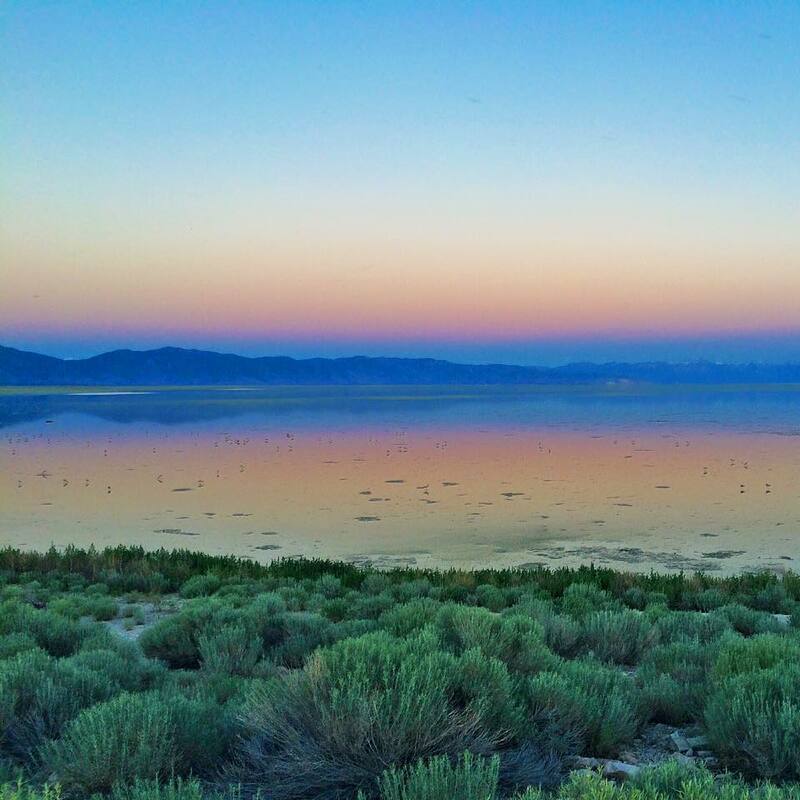 I definitely recommend that you visit Antelope Island (especially for sunset) because it is really beautiful & there is a lot of great wildlife! I do not recommend that you get out of the car though. I have literally never seen so many bugs in one place. You can hardly breathe. We got there and set up camp super quickly and left as soon as possible. When we got back we got straight in our tents to hide from the biting gnats and mosquitos. 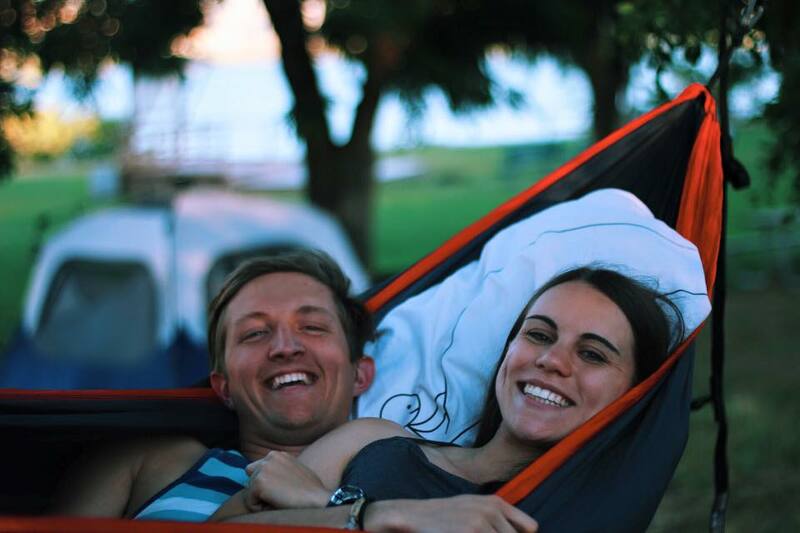 It may have just been the time of year – but I’d look into it before you book a campsite there. It was pretty cool sleeping right on the lake though and the stars were beautiful! Anyways, when we escaped Antelope Island after we set up camp we went to Salt Lake City. We hung out in Liberty Park & it was awesome and very pretty! 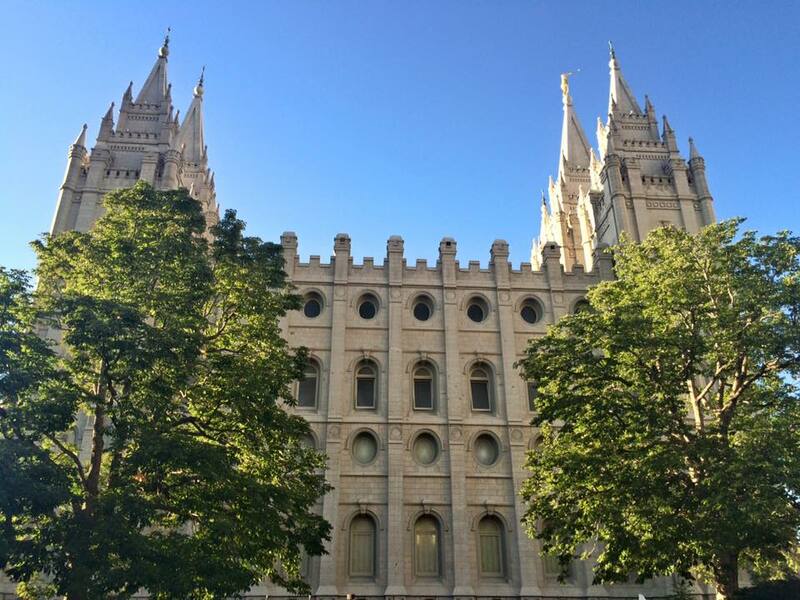 We also visited Temple Square & it was cool/very interesting to see all of the Mormon buildings and culture. 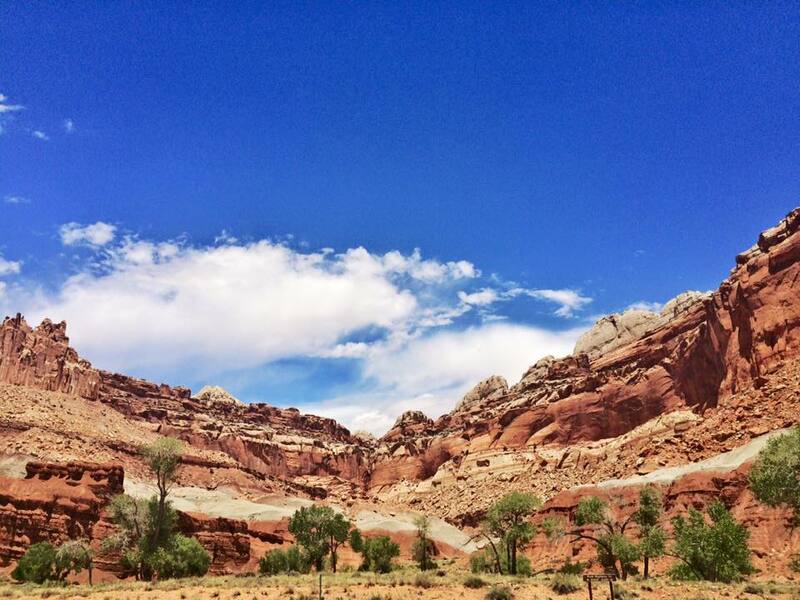 Day Three: We drove a few hours down to Capitol Reef National Park. WOAH! This place was AMAZING. We almost skipped this park because we hadn’t heard a lot about it before – but luckily when we were planning a few months ago at an ice cream shop a man overheard us and said we had to go! We did a hike back to Hickman Bridge (which is a natural bridge). It was only a 2 mile hike round trip. It’s awesome how it takes you through the natural textures of Utah and you are just in awe of everything surrounding you! After this we drove around scenic route 12 (a very beautiful drive with great overlooks) to get to our campsite at Escalante Petrified Forest State Park. We stayed there for three nights and loved it. It is on a reservoir so you can swim and they had nice, clean bathrooms, free showers, & a dish washing station! Day Four: We left day four open to be a day to relax and not do a lot of driving. 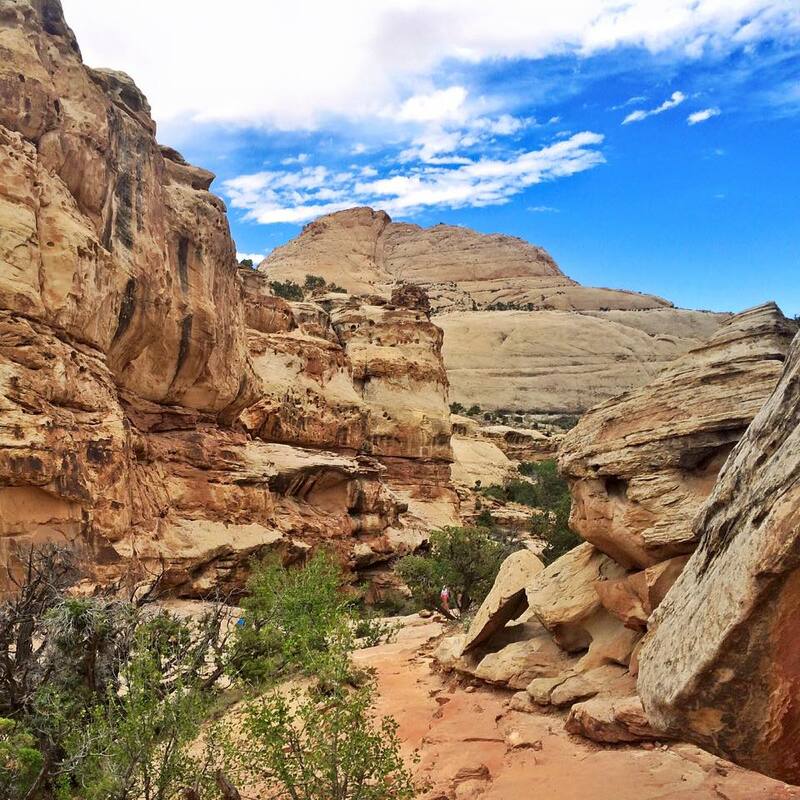 We heard that there’s a beautiful hike in the Grand Staircase-Escalante National Monument that left from Calf Creek Campground. I shared the details of this hike on The Outbound Collective – so click here to see that. Pictures are on there too! I think we all agree that this one one of our very favorite parts of the trip! And it is close to the state park we were camping at. 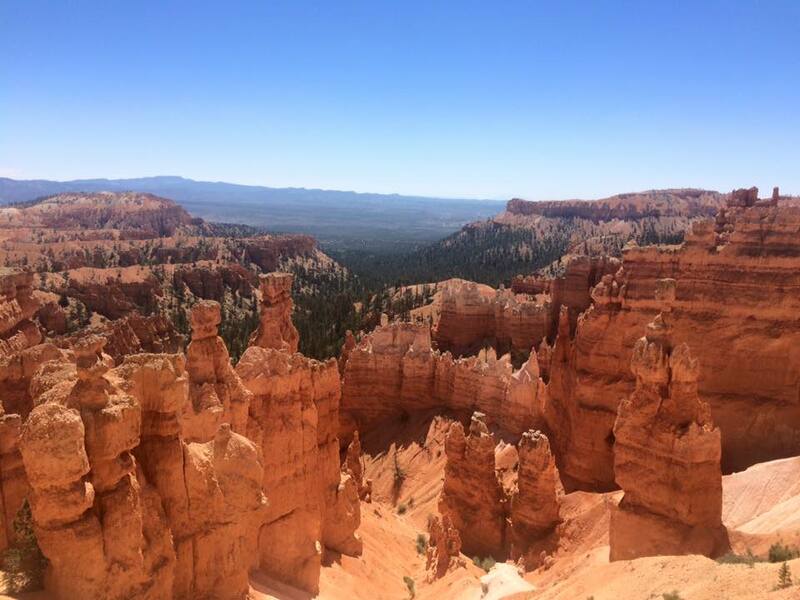 Day Five: The next day we drove to Bryce Canyon National Park. This park is amazing – we had heard so much about it before we got there so we were excited! Driving through the park at first looks a lot like we still were in Washington – but all of a sudden you come to the canyon and it is like nothing you have ever seen before! These huge rocks are just shooting out of the canyon. 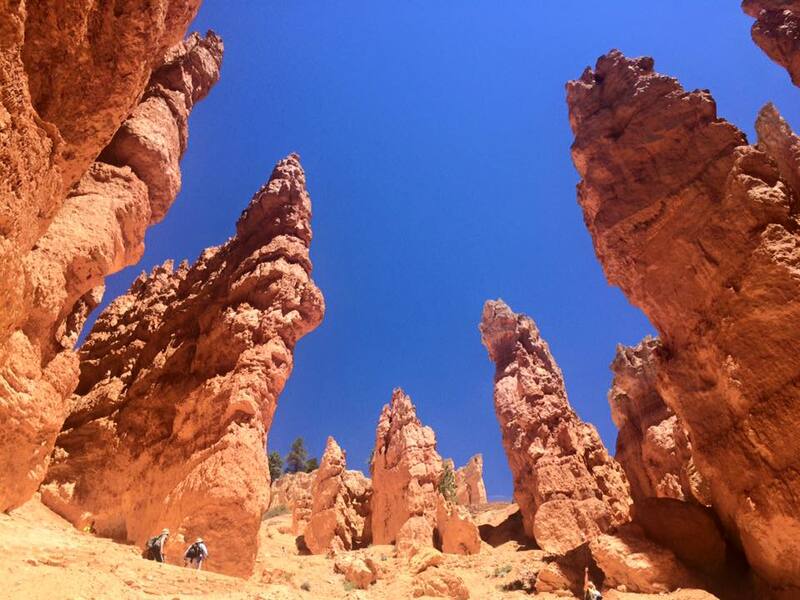 We did a hike through the Navajo Loop. I believe this is only a 1 or 2 mile hike round trip. 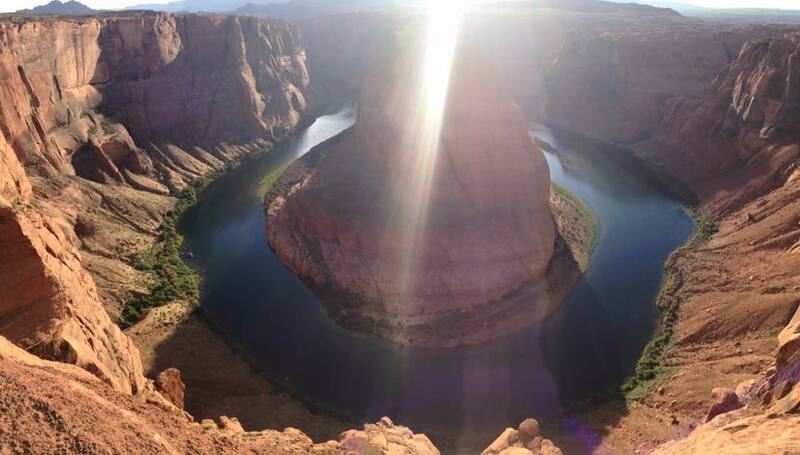 It is very steep up and down as you go down into the canyon and back up – but is very worth it! There are a lot of switchbacks. We did the scenic drive through the park also. 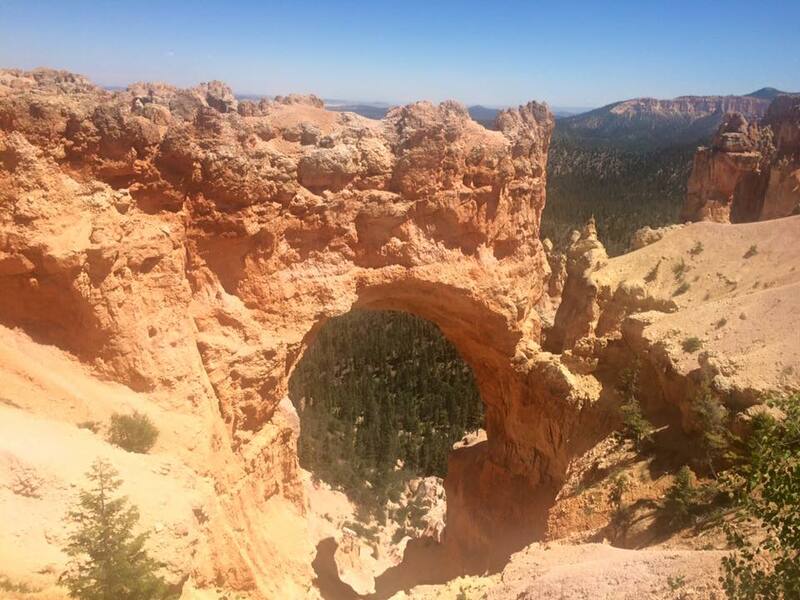 I recommend getting out at the Natural Bridge for sure – but all of the overlooks are beautiful! Another from the Navajo Loop! Day Seven: By day seven we were all pretty exhausted. We traveled the whole trip with two kids (ages 11 & 9) and I was super proud of how well they did keeping up with all of the hikes and activities! 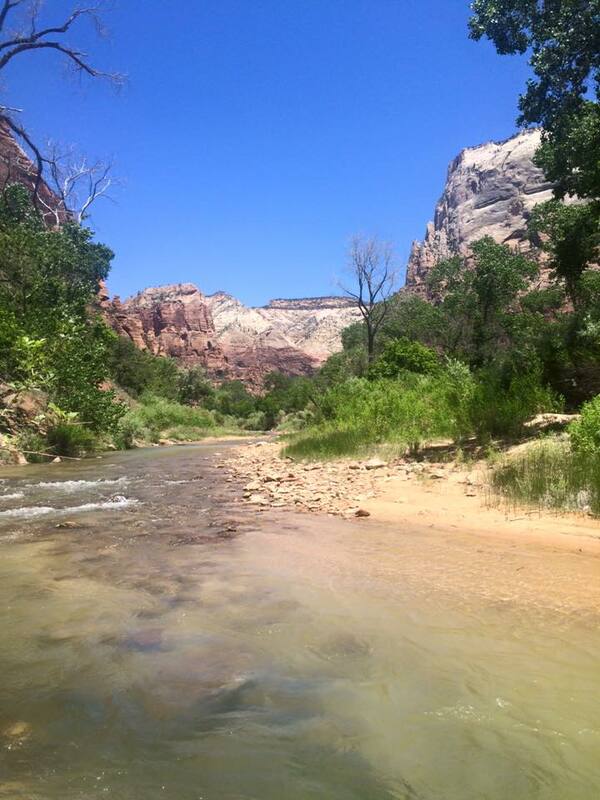 We traveled 30 minutes to an hour from Sand Hollow to Zion National Park. We had driven through the park the night before so it was amazing to finally see it all in the light! We drove through the road in the park that cars are allowed on, and then went back to the visitor center to get on a shuttle. For the main parts of the park you need to take the shuttles. We chose an easy hike for that day back to the Emerald Pools. 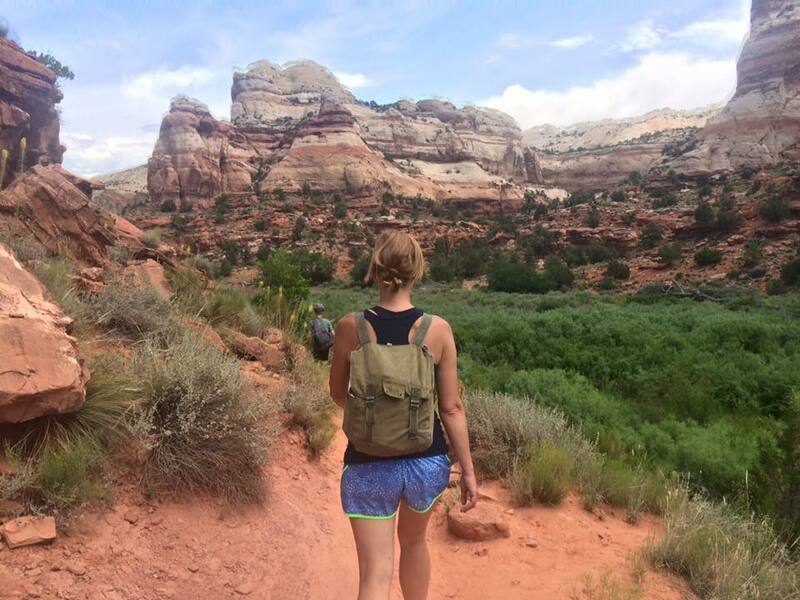 We heard a lot about hiking to Angels Landing but were way too exhausted in the 105 degree heat to hike that much. 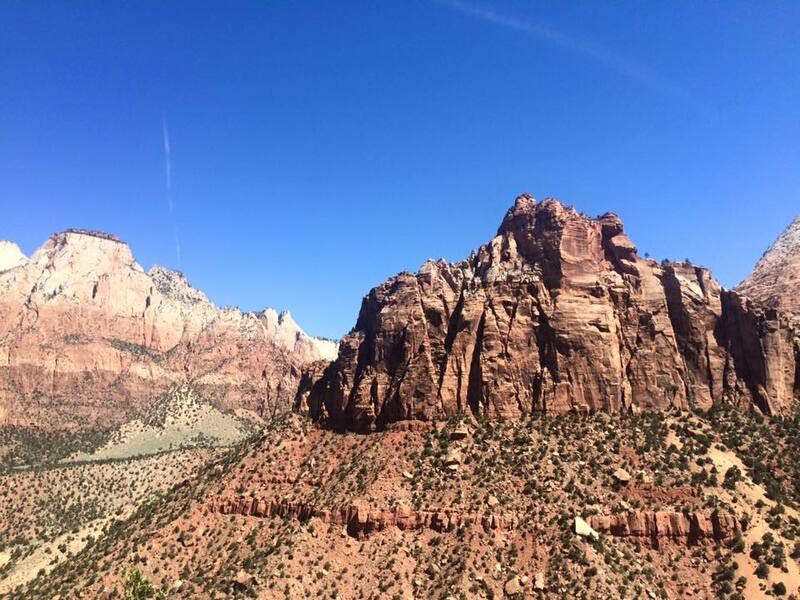 I definitely want to go back to Zion to hike Angels Landing! I also got a hat from Zion that I really love!! Although it’s kind of a funny hat. 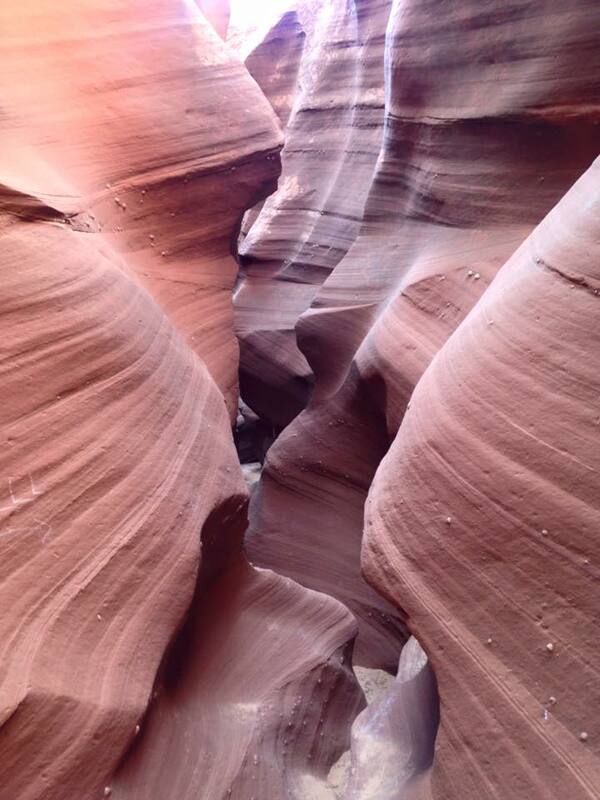 After exploring Zion we went back to Sand Hollow. We spent the afternoon at the beach swimming in the reservoir. It was so beautiful! This deep blue water (super clean and clear) next to all of the orange sand and rocks. I loved it there! The campsite was sweet also because it was on the sand. 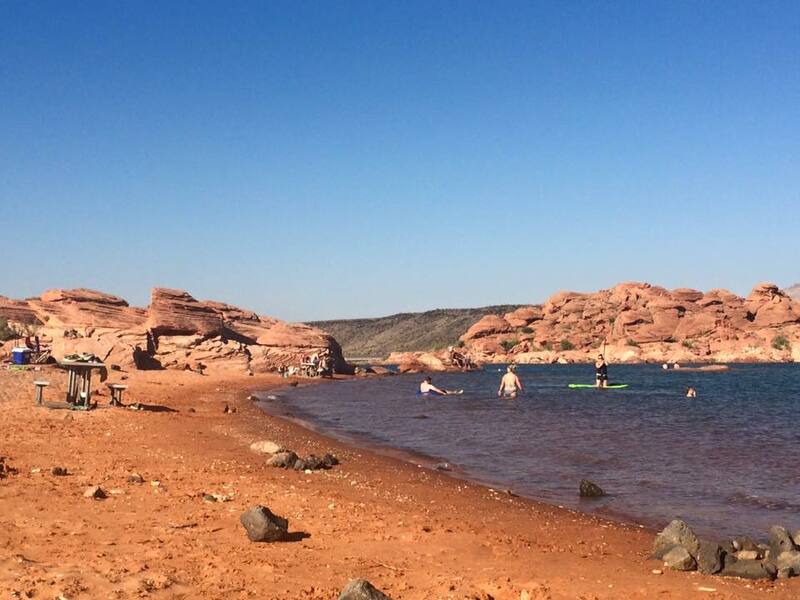 Swimming at Sand Hollow State Park! Day Eight: We got in the car and started heading back north to Spokane. We drove seven hours to Pocatello, Idaho. We got there early in the day so we spent the day at the Ross Park Aquatic Complex relaxing in the lazy river. We camped at a KOA that night. Day Nine: The day we get home! It was Elliot’s 12th birthday this day so we got going a little later. We drove through to Missoula, Montana and stopped at a place called The Hub to play laser tag! Very fun! And then we finally got home and got to rest for a little while! Our trip was honestly amazing all around. Traveling with the Jager’s was amazing and a great way to finish out our time in Spokane with them! Joe and I both loved seeing how Jessica and Brian care for their kids and how they choose to raise them. We were very encouraged as we watched them live life together – as we have been as we live with them! We are thankful to share life with them! 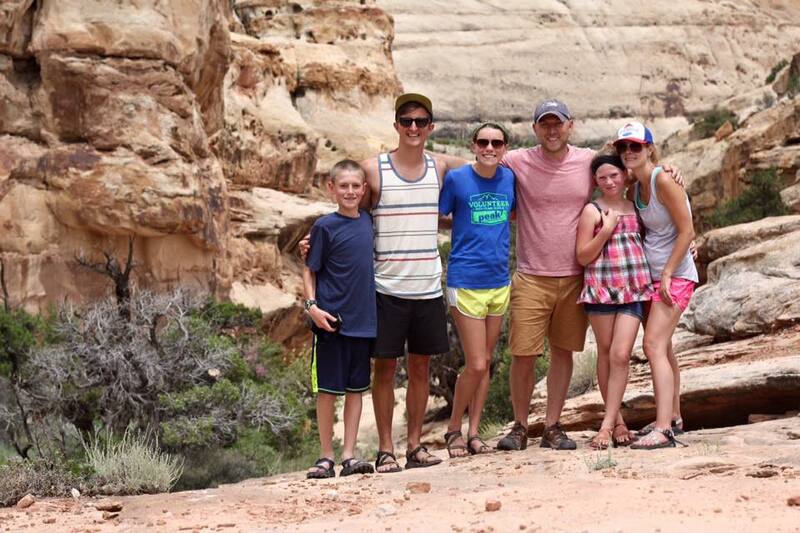 #SchugersTakeUtah – love these people! 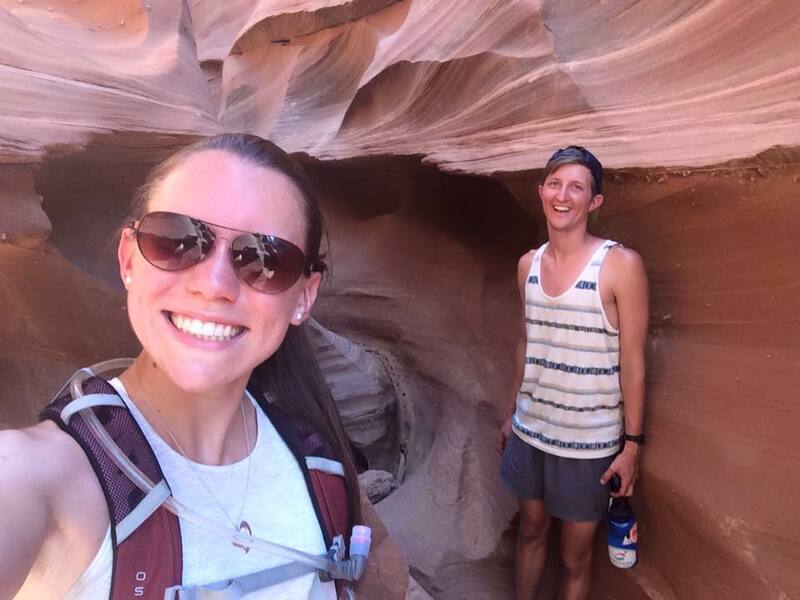 If you have any questions about random things in Utah or the other places we went – feel free to ask me!